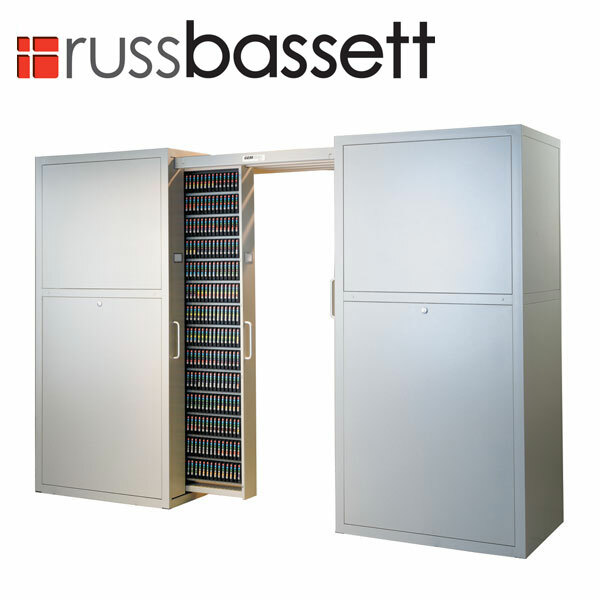 The Russ Bassett Gemtrac is a high density media storage system, which has an enclosed design that provides greater protection and security to the media stored inside. 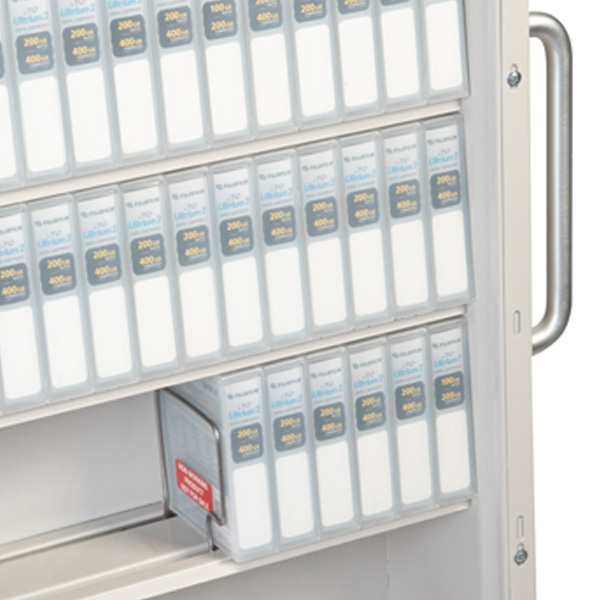 Vertical pull out drawers are available in various sizes to suit the type of media that they are required to store. 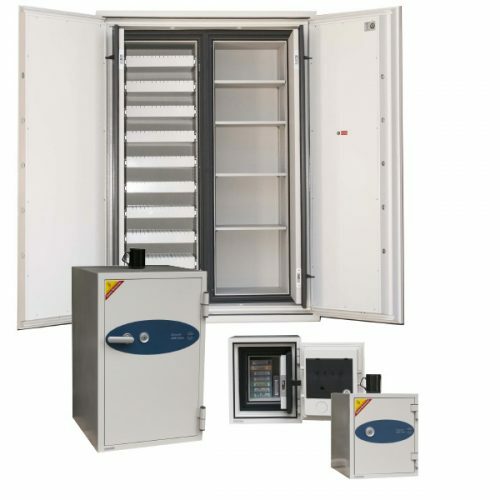 The Russ Bassett Gemtrac is a high density media storage system, which has an enclosed design that provides greater protection and security to the media stored inside. Gemtrac consists of two large cabinets connected by an overhead track on which vertical drawers pull out. Each vertical drawer contains a number of shelves on which the media is stored. The overhead track means that the aisles are left clear as no floor mounted tracks are required. This cuts down on installation costs and makes relocation easier. 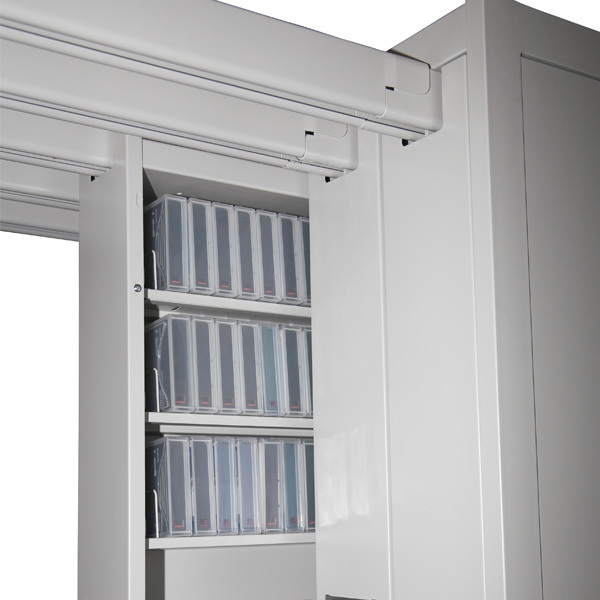 Russ Bassett Gemtrac units can be bayed together to form aisles of media storage. Gemtrac high density media storage cabinets are available for storing LTO, DLT, 3480 and Roll Film, with the number of drawers and shelves varying on the media being stored and the height of the units. The storage varies between models for bulk filing where wire bookends support partially filled rows or slotted filing where the shelves have individual slots separated by wire dividers. All Gemtracs measure 120″ (3.048mm) wide by 30″ (762mm) deep, occupying 25 square feet (2.4m²), and available in three cabinet heights 81″ (2,057mm), 85″ (2,159mm) and 90″ (2,286mm). 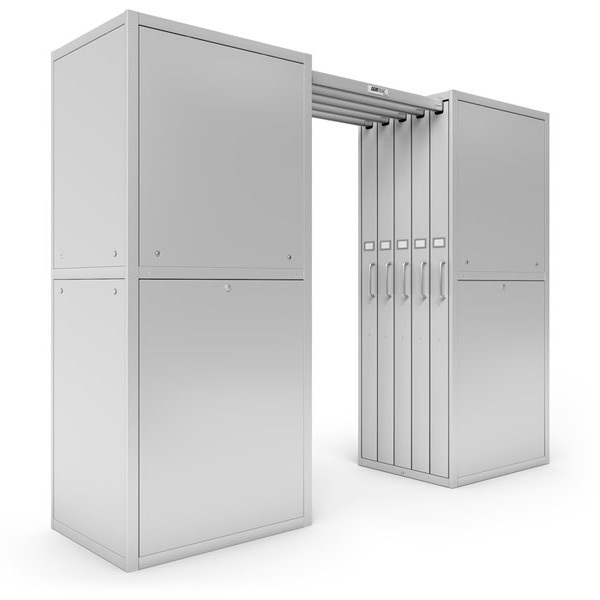 Enclosed Design – Protects valuable media collections. Locks – Provides positive security and controlled access. Three Case Heights – 81″ (2,057mm), 85″ (2,159mm) and 90″ (2,286mm). All Gemtracs measure 120″ (3,048mm) wide by 30″ (762mm) deep. Occupies only 25 square feet (2.4m²). Available in Neutral Grey or Black Textured. Ships mostly “set-up” – Ready for track connection and easy to relocate. 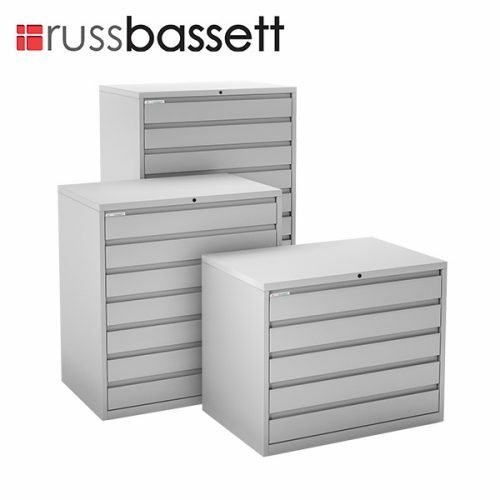 Drawers are designed for specific media types and configured for bulk or slotted filing. Bulk filing feature wire bookends to support tapes on partially filled rows. 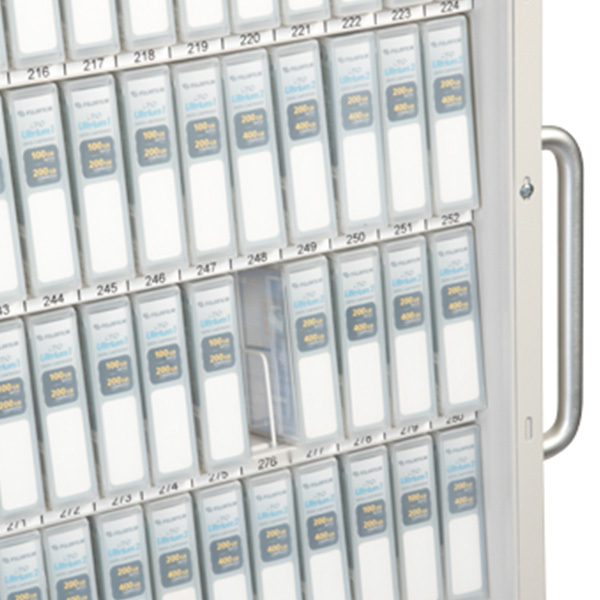 Slotted filing tapes are separated by wire dividers. Overhead Tracks – Keep aisles free, no tracks on the floor. Quick Access to media tapes from one position.